You are here: Home / Blog / Is It Worthy Enough To Become A Future Of Mobile Music? 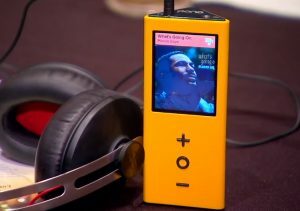 PonoPlayer is a revolutionary device in music industry intended to play and download high quality music. It was introduced and developed by the well known musician named, Neil Young in the year of 2012. It is very handy and user friendly by the means of usage. This portable device is compatible with wide array of prominent music files which makes it more useful in a way to play various sorts of music files. 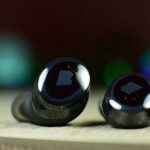 It supports the headphone as well, which augments the experience of sound quality of a song and battery backup, collectively. PonoPlayer is a triangular or pyramid shaped, large and sleek sort of handy device, which is very comfy in grips and convenient enough to carry in pockets as well. It is couple of inches wide, one inch of thick and around five inches of long in dimension. It is because of this critical and innovative design, due to which a 2950mAh power of cylindrical battery is carried by it effectively. Primarily, it comes in two color options, i.e. black and yellow. The outer surface is covered with a rubberized griped finish, which is good to grip it up but susceptible to finger prints. 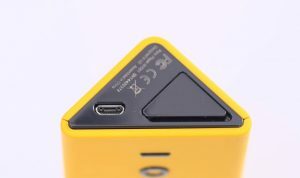 The front panel of the device contains 2 inches of touch screen along with three buttons below it. These three buttons are used for the different functions such as adjusting volume up/down and selecting the tracks. Though, the screen is touch operated, most of the function can be performed through the touch commands, whereas, select button does the rest of the things such as sleep, play/pause, power, next track and track selection. The select button can also be resorted to lock the gadget. It takes a couple of steps, under which holding select button for the time of 3 seconds and pressing the sleep icon, showed up into the screen is included. Navigation of this device is quite simple as it just takes swipe in left and right direction, which is very much familiar to smartphone users. The various actions can be performed by browsing through the touch screen, for various albums, setting or menu options, playlists and clicking twice on the selected file, enabling it to play. 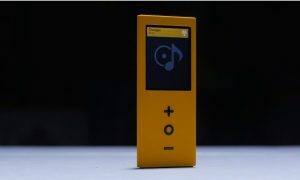 This novel gadget is designed with the collaboration of high-end manufacturer, named – Ayre Acoustic. This device is rigged with indigenous ‘DIGITAL AUDIO CONVERTER (DAC)’, which was specially designed for the gadget. It comes with the 64 GB of inbuilt memory, along with the option of expandable memory for another 64 GB, through SD card. 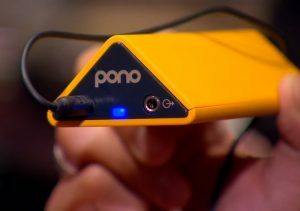 This pono player is of proto type as it does not contain wireless or Wi-Fi connectivity option, unlike to other similar sort of gadgets. This made people bit of uncomfortable as it takes to connect the device with the computer and laptop, through USB cable, in a way to update and download the music from the internet. This device is primarily designed to play the downloaded music and nothing beyond that. PonoPlayer comes with additional feature of JRiver media center against the additional cost of $50, which is known as PonoMusic world. 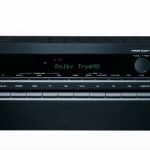 Through this users are allowed to download the tracks and rip CD’s as well as other wireless music players are controlled by the use of DLNS. 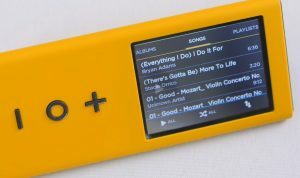 The most unique, hidden and fascinating feature associated with PonoPlayer is that, it works in excellent balanced mode while playing with amplifier or high-end headphones. It is very handy and responsive while playing different songs. The sound quality is unmatched in its segment. Compatible with various types of music files. 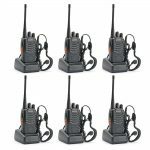 The sleek and handy design makes it comfortable to carry and operate. 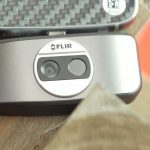 The triangular shape of the device enables user a better posture of screen, through which it gives an appropriate view of the playing file, over the screen. If applied with amplifiers or headphones, most balanced performance can be experienced. It has a dual mode of operational functions as it can be operated through buttons and touch screen as well. The rubbery gripped coating gives it an elegant look and feel of holding high-end gadget. It has a huge in built memory of 64 GB, which can be extended up to another 64GB through SD card. A huge amount of music stuffs can be stored. 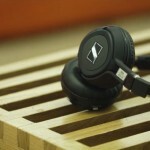 It is a portable device with most killer appearance in the segment of music players. On demand of customers, team of experts is indulged in improving battery performance of the gadget so that, users can have long lasting fun with their favorite playlists. They are also working in a way of making the locking system of the device more responsive and effective, so that it can be carried easily without getting unlocked because of random pressure over the keys. The proto type PonoPlayer is under the process of up-gradation with various other features such as Wi-Fi support and Bluetooth connectivity. The process of connecting the device with computers or laptops is going to be refined in the upcoming models and it would be much easier to download and upload the files between two different gadgets. A much deeper price cut is expected with the upcoming models. 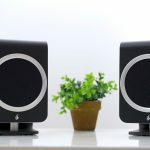 Indisputably, PonoPlayer is an innovative gadget which can give the most elegant sort of music experience by playing high quality sounds files. But it gets defeated at certain aspects of the technicality, such as its internet connectivity issue and absence of Bluetooth feature. Due to these couple of features it was left far behind in the race of modern music players, which are laden with such features. It takes tricky methods to download the music files into its memory. On the other hand, it also gets lag behind in terms of its battery backup as well. If some of these points were taken good care, then it can become a leading music player option amid of its various competitions, available in the market. 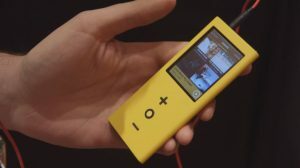 Definitely it does have a potential to become a future mobile music player option as the shortcoming of the device are easy to be taken care off.